Ohhhhh, dude. These swatches are so late. Let's just consider this the norm around these parts - sporadic posting whenever I get my poop in a group. We good? Today I have five polishes from the Magic & Mysteries collection by Literary Lacquers. Let me just say right off the bat, I have yet to have a bad thing to say about Amy's creations and these five are no exception. 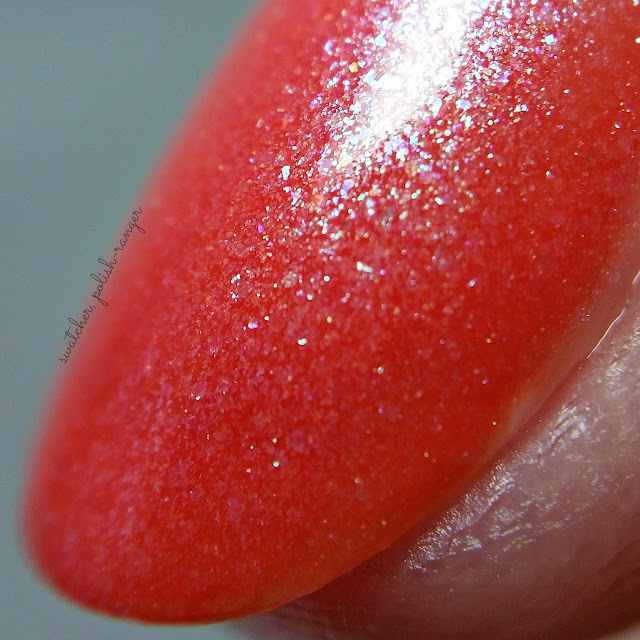 Her formula is on the thinner side which some may not like, but I prefer it because it allows me complete control with how many coats I want to use/how opaque I want it to be. 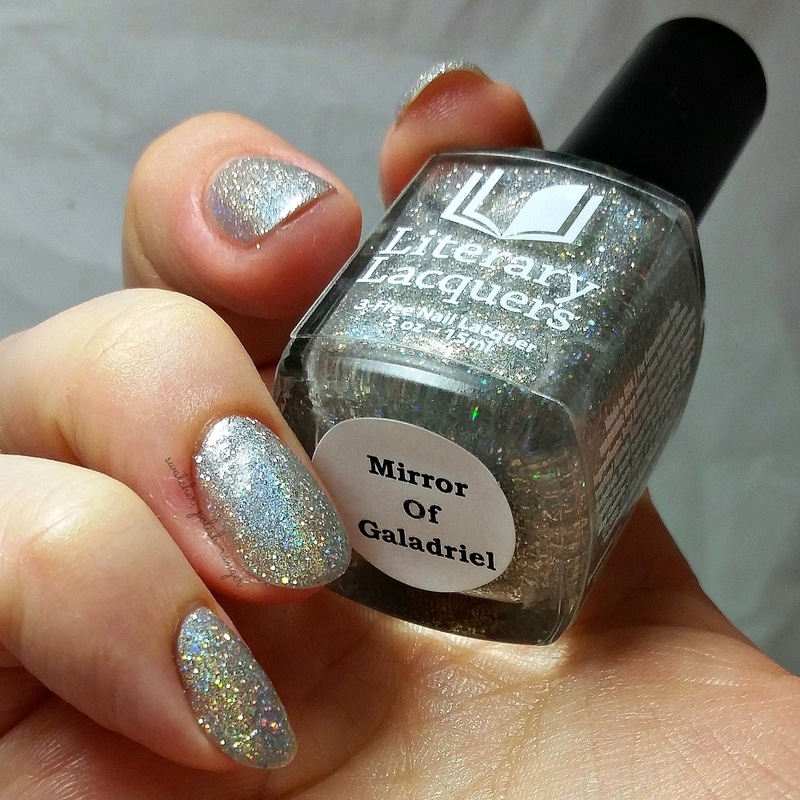 That said, I've not had anything take more than three coats in order to be opaque and several take two. Let's get to the pictures, shall we? 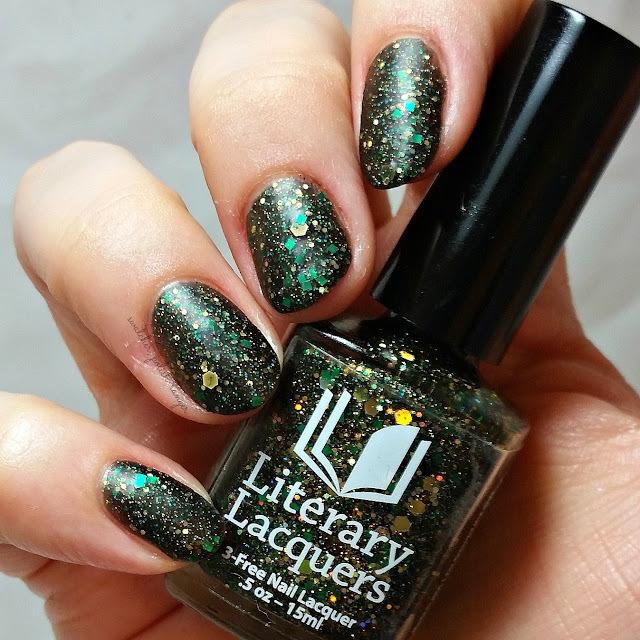 * Descriptions are taken from Literary Lacquers. 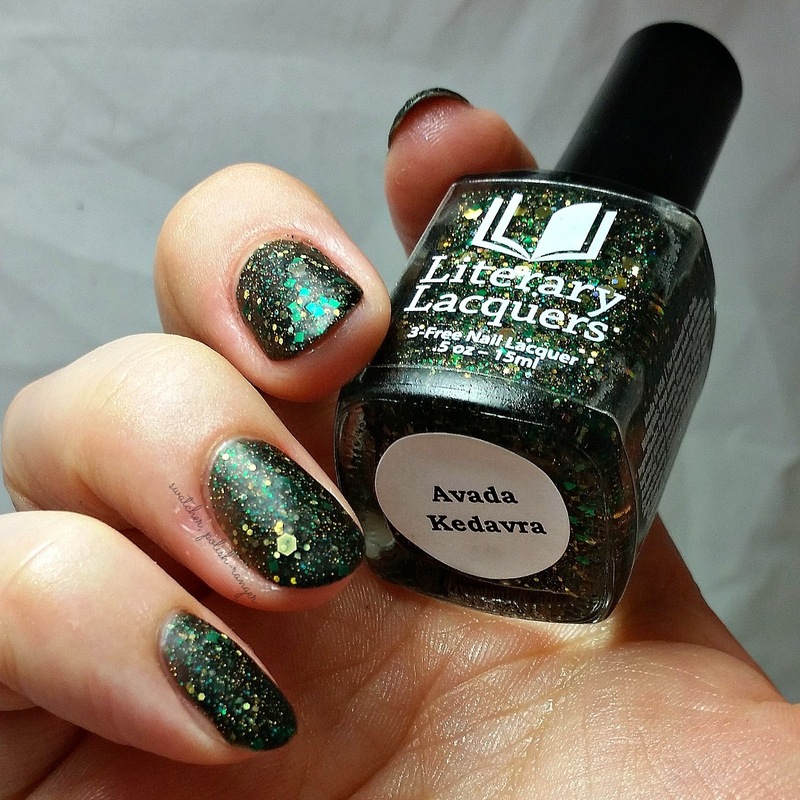 Avada Kedavra is a eeevil black matte polish packed with green and gold holographic glitter. 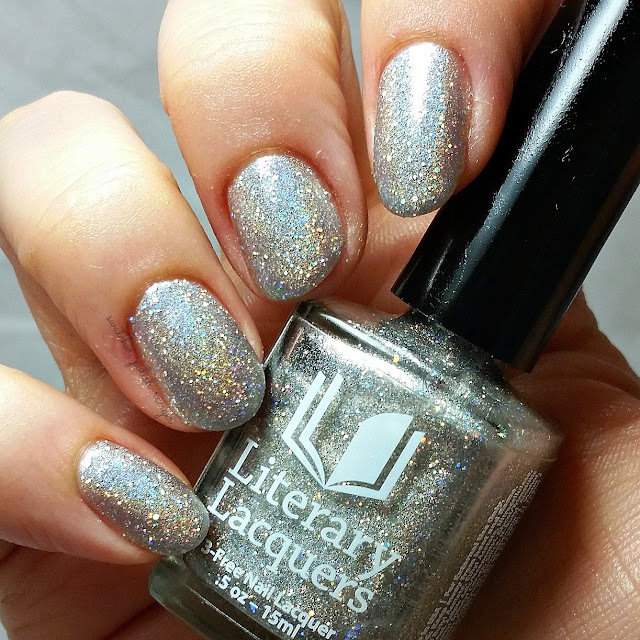 The polish will naturally dry matte, but topcoat can be added for a glossy effect to make the glitter really pop. Avada Kedavra is the killing curse favored by Voldemort and his Death Eaters in the Harry Potter books by J.K. Rowling. It is the most evil of the Unforgivable Curses. The only person known to survive this curse is Harry Potter, the Boy Who Lived, who was protected by the sacrifice and love of his mother. Shown here is two coats. I left it matte so you could see it in its "natural state." 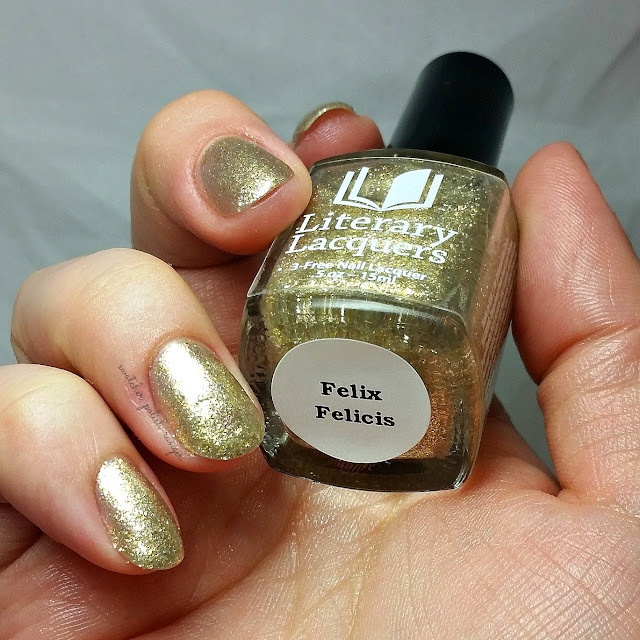 Liquid gold glass fleck shimmer polish. Shown here is three coats. 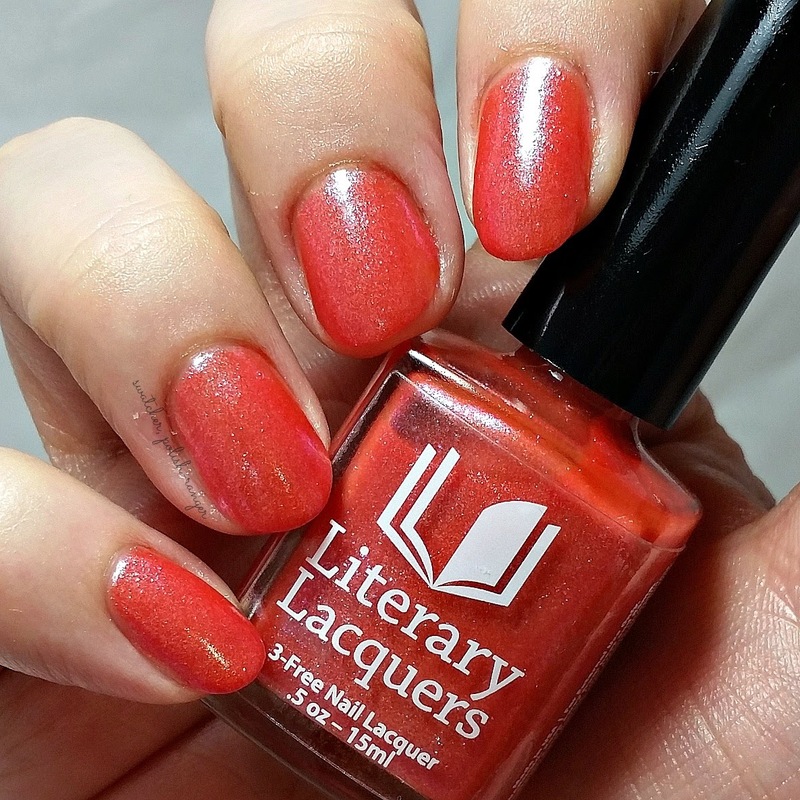 Orange red base filled with blue shimmer, flakies and glass fleck, best at three thin coats. 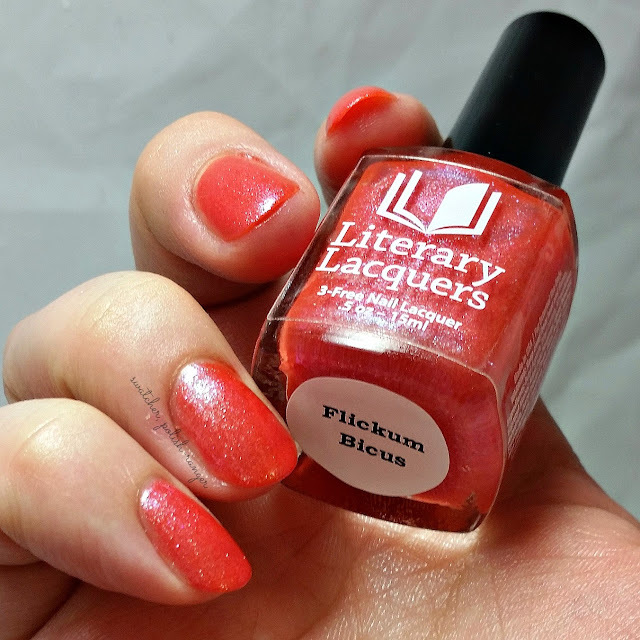 Flickum Bicus is inspired by the Dresden Files books by Jim Butcher. It's a spell used by Harry Dresden to light candles in his lab or any small flame, some tongue in cheek fake Latin in the vein of that old lighter slogan "Flick Your Bic" Harry Dresden is a modern day wizard for hire and the books are so much fun. Bright silver mega glitter linear holographic. Mirror of Galadriel is inspired by Lord of the Rings by J. R.R. Tolkien. 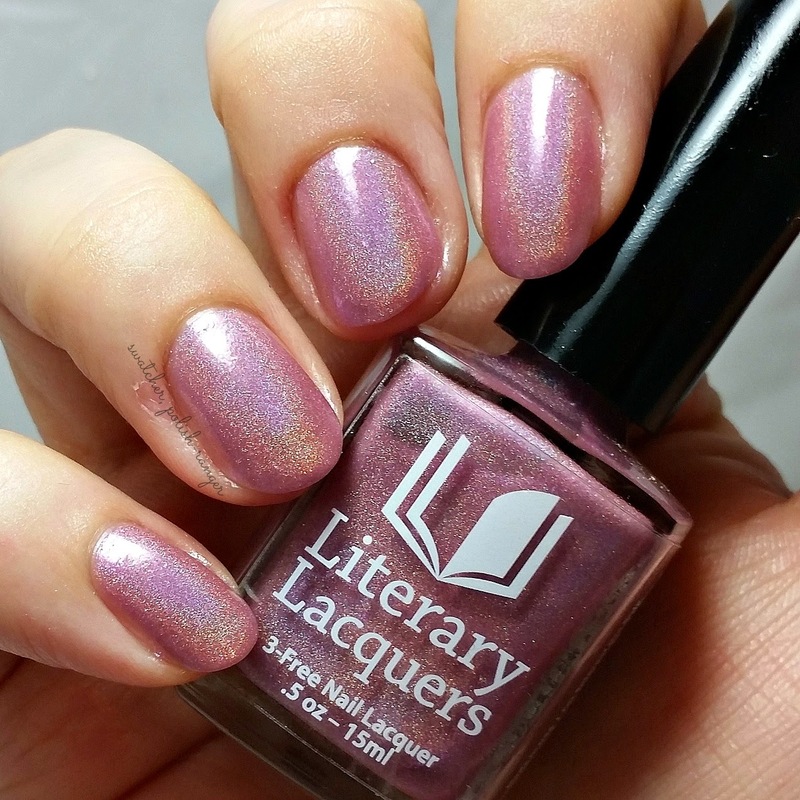 Soft mauvey-lilac linear holographic polish, best at three thin coats. 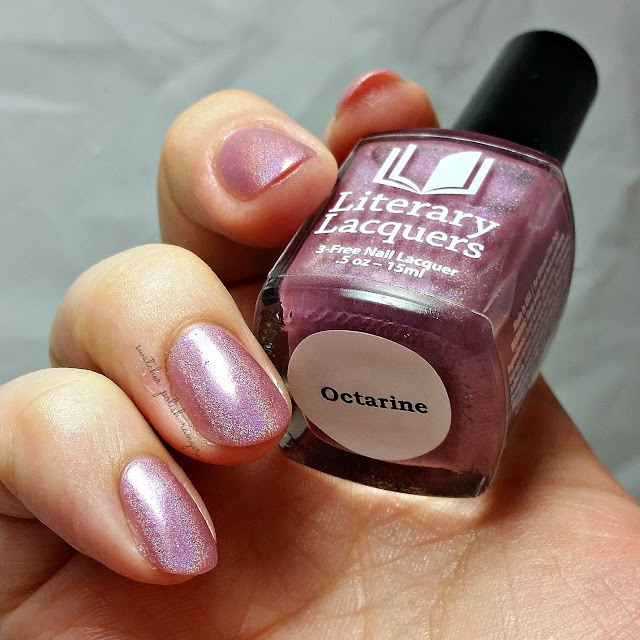 Octarine is inspired by Terry Pratchett's Discworld. Octarine is the color of magic, seen only by wizards. 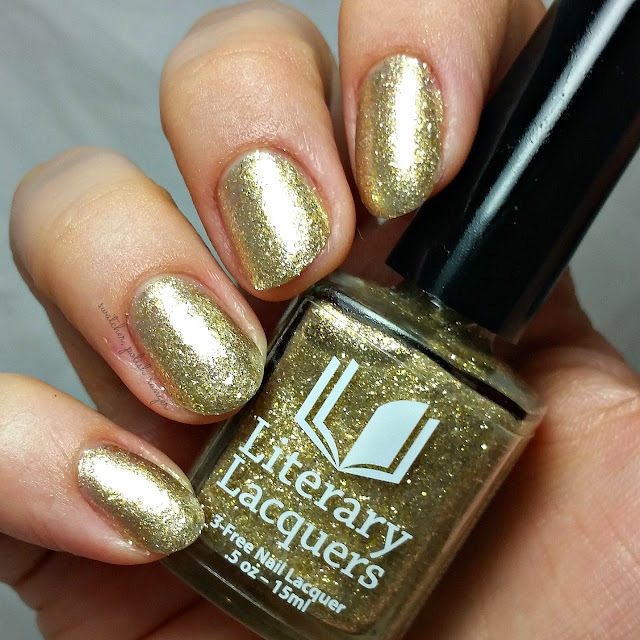 If you were magically inclined and could see magic, this polish is electric lime-purple. If you are a regular mortal, however, you will probably see it as a soft mauvey-lilac. 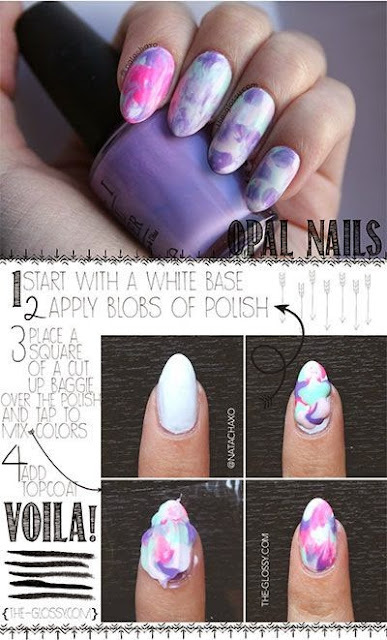 Nail slump over? Mayhaps. I've seen this technique before but I saw another tutorial on Instagram or Facebook (for the life of me, I can't remember where) and inspiration struck. 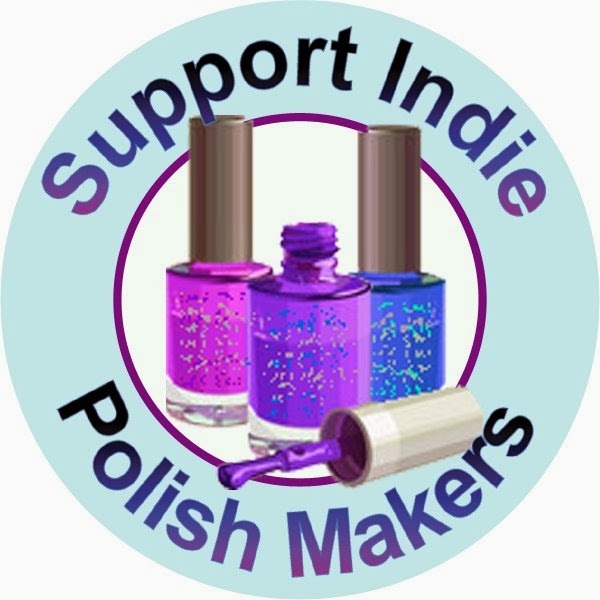 I purchased the Washed Out collection from Finger Lickin Lacquer (now Bohemian Polish) last year and have wanted to do a watercolour mani with them ever since I saw Polished Pathology's swatches. It ended up being super easy and I love the way it turned out. 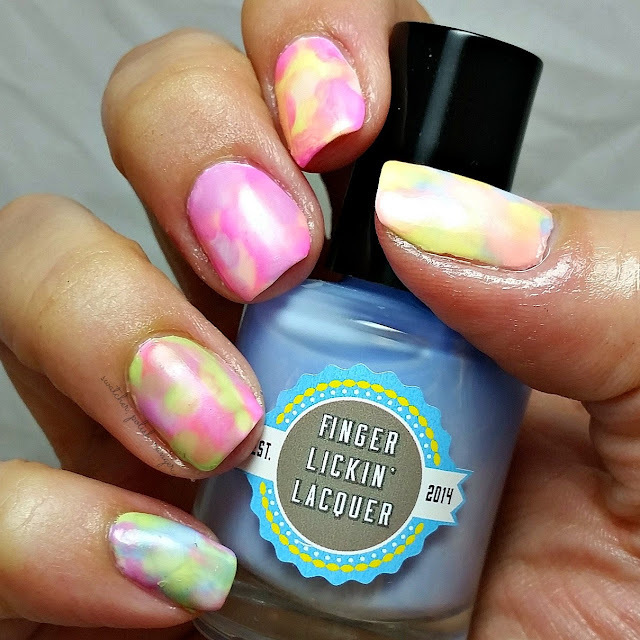 I used two coats of Revlon Spirited as the base then dabbed blobs of three colours on each nail.